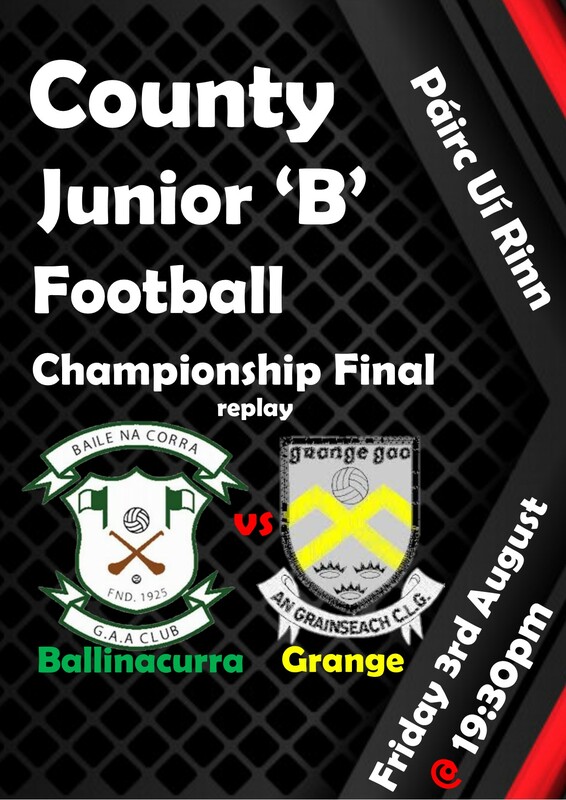 The replay of the County Junior B Football Championship takes place next Friday night 3rd August in Pairc Ui Rinn @ 7.30pm, between Ballinacurra (Imokilly) and Grange (Avondhu). Both clubs are seeking their 1st title in this championship having been beaten in their previous final appearance. Both clubs are seeking their 1st title in this championship. The cup presented to the winners of the County Junior B Football Championship is the Junior B Football Championship Cup. This cup was first presented in 1984.